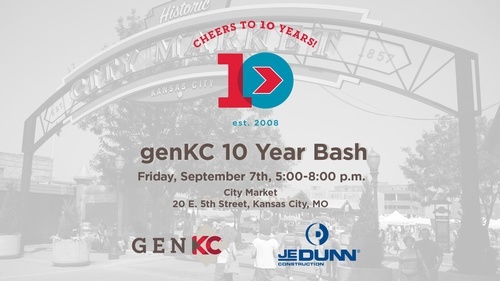 Celebrate 10 years of genKC with some local favorites before heading over to First Fridays! We'll be honoring our very first genKC event by hosting it where it all started: City Market. Right on Red, a Kansas City variety band, will be performing live with yard games from KC Crew. Enjoy libations from J. Rieger & Co., City Barrel and KC Wineworks and tastes from Costa Vida and Nothing Bundt Cakes. Tickets are $10 and include two drink tickets and a chance to win tickets to a concert, a Royals game, Starlight or a Mavericks game with a suite!